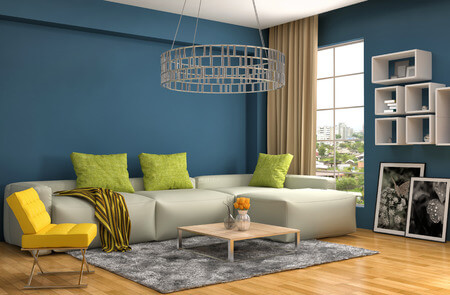 We know how unpleasant is to have at your home a dirty sofa, dusty curtains or stained mattress. As a professional company in West London, Mega Cleaning faces such issues every day and we are experts in sanitising and bringing the former glamour of your favourite upholstery. The daily cleaning routine like vacuuming or dusting it won’t help getting rid of all the accumulated dirt, germs, bacteria or pollutants from food, drinks or pets tend to leave hair behind. 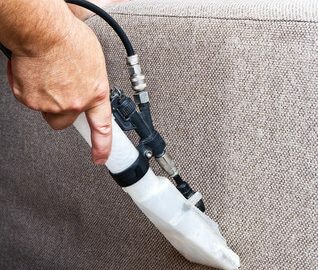 Moreover, the unique technique of the hot water extraction method will restore and revitalise your upholstered furniture and will save your time and money. As a matter of fact, professionally cleaning of your upholstery once a year it’s highly recommended by the leading manufacturers on the market. It is also prolonging its life and will give you a dust free and healthy environment in your living and working space. First, our trained and skilled cleaners will specify the actual material of your upholstery so they can use the proper pressure of the moisture. After that, they will pre-treat any spots and stains with appropriate stain removers. The unique technique of the hot water extraction method includes spraying a specially designed solution deep into the upholstery. Then it is extracting the moisture together with all the aggregated dirt, germs and odours. In addition, the cleaning actually decreases the time for to the complete dry off. It all depends on the air flow in the room and the type and thickness of the upholstery fabric. In the end of the service, our cleaners will apply a seal protector upon your request, to keep your upholstery of spills and stains. While Mega Cleaning is at your home, you can combine your Upholstery cleaning with some of the affordable cleaning services we perform in West London like Carpet cleaning, One-off deep or spring cleaning, After builders cleaning and End of tenancy cleaning (Move in clean). Additionally, you can take advantage of the great deals we offer you as well as save time and energy and clean your home or office with just one visit from our cleaners. Entrust us for your expert Upholstery cleaning in West London and improve the air quality in your premises. Mega Cleaning will treat your upholstered furniture with care and professionalism at prices you can afford. Contact us today on 020 3637 7737 for the perfect cleaning of your favourite upholstery.